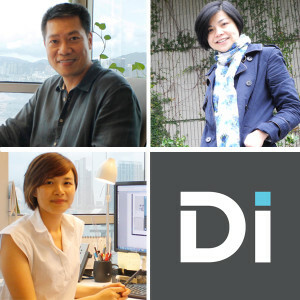 We happily welcome and announce three new additions to our Hong Kong studio! With over 18 years of design experience, James Law joins us as Senior Designer / Associate. Prior to joining DiLeonardo, James was an Associate Design Director for DWP Design Worldwide where he oversaw the design of hospitality, residential and commercial projects throughout Asia. Sandy Tsui brings her extensive knowledge and experience of design to our team as Project Director / Associate. Prior to joining DiLeonardo, Sandy was an Associate Director at Benoy Ltd and an Associate at Atelier Pacific Ltd where she managed the designs of several retail and commercial projects. MayMay Wong joins our team as a Designer / Specifer with over a decade of industry experience. Prior to joining DiLeonardo, she was an FF&E Designer for DWP Design Worldwide, Bilkey Llinas Design and Hirsch Bedner Associates.